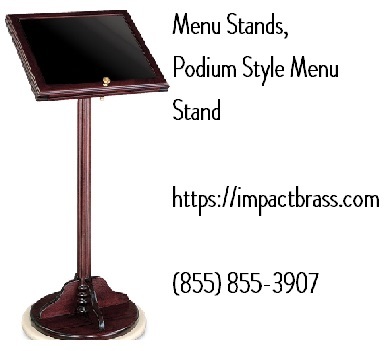 Contact Impact Brass at (855) 855-3907 for elegant and stylish menu stands in NY at affordable rates. Visit our website for more details on our Brass products. Impact Brass is an enterprise situated in NY that has been operating since 1998. It all started when we started supplying the hospitality industry with best quality custom-sized bellman carts and hotel luggage trolleys. 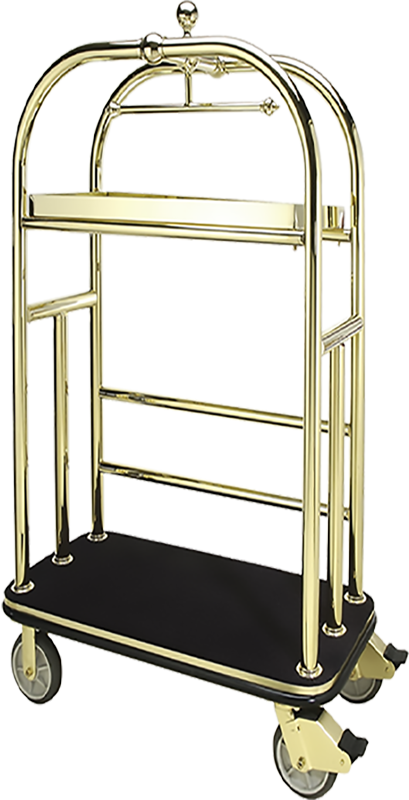 The concept of a custom sized bellman cart was newly introduced to the industry by us and Impact Brass soon became a known supplier, and the popularity of these custom-sized luggage carts started growing quickly. With an idea of expanding the business, the company also started including custom sized products like sign stands, display stands, menu stands, Stainless Steel Easels, and crowd control products such as stanchions, posts and ropes, and retractable belt posts. The company gradually started developing a reputation for its custom bell carts across the globe. We have shipped our products to domestic as well as international clients. Our Bellman carts are our best sellers which have an international demand. We can build excellent bell carts and luggage transport products that can be customized according to your requirements and needs. Five Diamond bell carts offered by us are our premium hotel luggage carts that are acknowledged internationally for superior quality and price. We are capable of producing the finest metal display products, stainless steel menu stand, metal sign stand, Restaurant Menu Sign Stands, indoor-outdoor sign stands, or easel display stands for you according to your given specifications. We provide custom signage of all shapes and sizes. The ropes and accessories and stainless steel posts by us are of superior quality and available at reasonable rates. Our products match the industry and quality standards and are available at reasonable rates. Crowd control products help a great deal when organizing an event on a large scale. 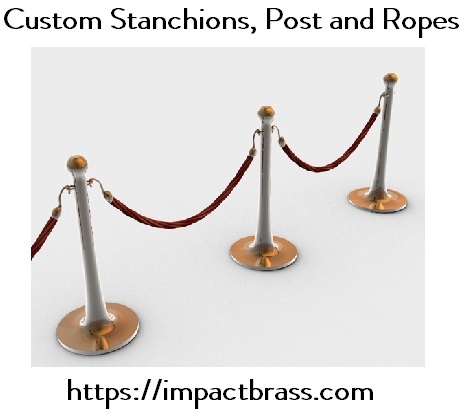 Trust us with all your crowd control products and stainless steel stanchions needs. We provide our crowd control posts and ropes, retractable belt stanchions and other public area products to all industries. You can contact us at (855) 855-3907 for any details or queries. Visit our website for more details.